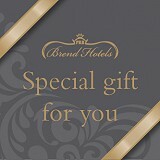 Brend Hotels, the family of hotels that The Barnstaple is a part of, have created this guide to Traditional Valentine's Day Activities in North Devon. Why not bring your loved one to The Barnstaple this Valentine's Day? We are putting on a special 3-course dinner, and we have an over-night offer for those looking for a romantic break. At just £35 a person, this meal comes with everything you'll need to impress your special someone. You will be given cocktails on arrival, before being sat down and shown the menu. Pick a delicious starter to get you going, followed by 5 wonderful main dishes to choose from, and then a wide selection of desserts too. Please call 01271 376221 to book a table - see the menu. The 3-course meal for two, a stylish room for the night, a full English breakfast in the morning. Don't forget, you both get free use of our indoor swimming pool plus our leisure and gym facilities.